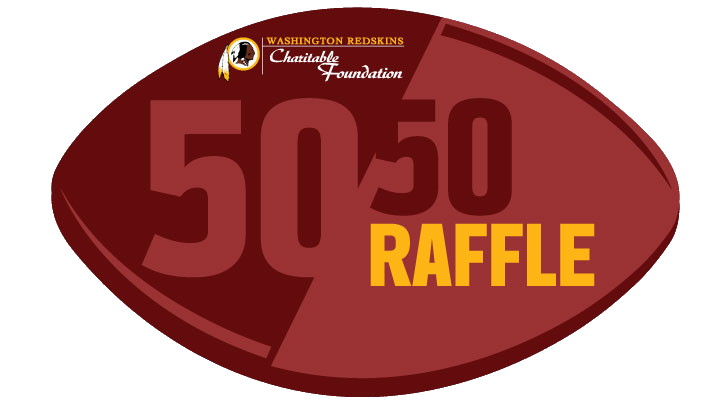 Every home game during the 2014 season, the Washington Redskins Charitable Foundation will host a 50/50 Raffle at FedEx Field. 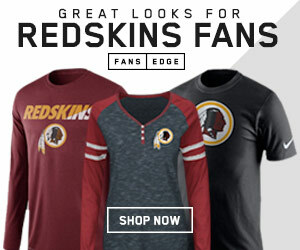 Fifty percent of the net proceeds from the ticket sales that night will go to one lucky fan to redeem for Redskins merchandise or tickets (winner may elect to receive cash in lieu of prizes) and the remainder will benefit the Washington Redskins Charitable Foundation. 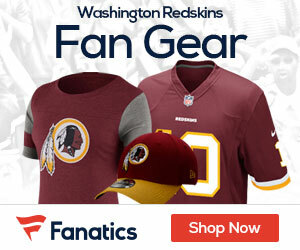 This is a cash ONLY situation and is only available at the stadium, laws prohibit otherwise. Mobile sellers in bright yellow aprons will also be located on the Club Level near the escalators. Below is a picture of last weeks winner Shondra Foster, who won over 11K.